Are you searching for the best WordPress themes that are simple yet elegant with minimal maintenance? It is not always about the colors, designs and simplicity, a lot more factors like creativity, productivity, and uniqueness will hold a lot of value along with the other features of each template. Here is the list of 100 best WordPress templates that are worth a try! 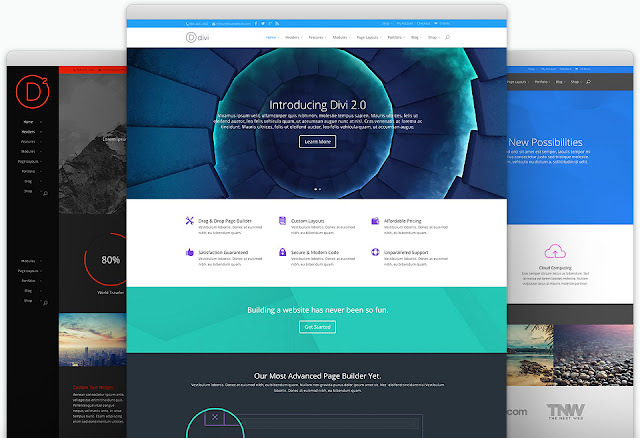 Divi – This WordPress Theme is the most creative and elegant theme. Its highlights are great design and professional service. Oshine – It is the best creative multipurpose theme of WordPress and has 5000+ customers. 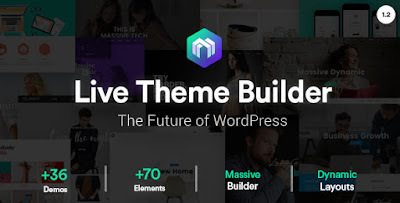 Massive Dynamic - This from the WordPress themeforest is a very popular and innovation collection. Bateaux – A creative, professional and simple theme designed with 25 different homepage variations. Impreza – It is the best WordPress theme of the year 2016 for its detailed review and creativity. BeTheme – It’s the best-selling WordPress themes for its creativity with 210+ predesigned websites. Uncode – A super creative multipurpose theme by WordPress with over 6000+ sales. Infinity- This theme provides highly professional online support. Kalium – A simple theme with amazing coding features by creative people. Bridge – One of the simplest WordPress themes with pre-designed templates for almost all industry. Houston – Clean and elegant theme by WordPress which is user-friendly, mobile and web browser compatible. Overlap – High performance featured WordPress theme with premier revolution slider and visual composer. RHYTHM – The weekly best-selling theme for over a year and has more than 50+ demos. Heli- A professional theme with clean and simple concept with 12+ project option. Conall- A Woocommerce compatibility theme that includes edge slider with zoom animations and parallax effects. DECA - With this theme, portfolio websites can be created easily and it has complete e-commerce functionalities. Narcos- Ideal theme for corporate, creative agency and business. It has 22 sub-pages and 4 header styles. Babylon- A simple and beautifully crafted WordPress theme best used for personal blogging. SimpleMag Magazine – Very popular collection from WordPress ThemeForest and has features like configurable drop-down menu and page composer. Waxom- A modern featured theme with premier plugins and sliders. Perfect Rent - This theme offers memorable parallax scrolling 2D-effect with HTML and CSS. Deploy - A highly professional and elegant theme with inbuilt drag and drop visual composer and WPML translations. Yaga- This template is coded with WordPress and W3C coding standards with 100% responsivity and mega menu. Stockholm - This theme has over 20 pre-designed multi-concept demos and is best for business websites. Romixa - A theme by cssigniter team designed considering SEO optimization needs and drag and drop builder. Startit – A latest simple theme by WordPress which is ideal for startups, businesses and tech companies. Real Estate- This theme offers non-stop support and 80+ shortcodes all in just 2 step installation. Juster - This simple layout theme has 15 unique premade layouts for various industry purposes. High End – A theme with plenty variations and great features. This template has 10,000+ customers. Parallax One- One of the reliable, awesome and simple themes used worldwide. Very compatible and best for professional usage. Taste – Best WordPress template for the food industry as it has mega menu and parallax effects. Rustik – This theme is designed for e-commerce projects with more than 600 Google fonts. CR8OR- a WordPress theme specially designed for a creative agency and freelancer with visual composer. Rosemary – Simple yet modern looking WordPress theme with featured sliders and TGM plugin. Savoy – This theme helps in focusing products and highlights quality. It has AJAX built-in features. Yunik- The highlight of this WordPress template is it has 15 different pre-defined demos and 1400 icons. Borderland- A unique and flexible theme ideal for presentation, eshop and blogging websites. Raptish- A professional WordPress template that is good for uploading your Curriculum Vitae. Wex- Latest WordPress theme with HTML5 portfolio and it has a creative touch. Coastal- Very smooth and fast performing theme in the WordPress ThemeForest. Salon – A black and white theme with fully responsive setup. 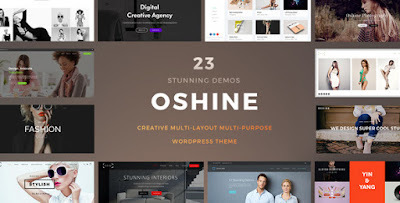 Creative- A complex and expensive theme best used for creative themes. BeWebmaster- A universal theme is attractive features like fast realization and top notch support. Vigor- A theme with a powerful administrative interface. It has 12 pre-designed templates. Zeum- A one-page design theme by WordPress that has 24/7 support. Marion- Best theme in the creative market with 4 color schemes and different widgets. Flexible- Professional and elegant theme with a low cost and simple design. Mama- Clean coded theme with bootstrap 2.0 and W3C validation. Aurum – Advanced and fast WordPress theme that is flexible and translatable. Bloc- Swiss styled template with more than 40 elements to create content and subpages. Gap – It’s a latest theme published by WordPress, it’s specially designed for minimalist port-folio websites. Pretty- Highly demanded these by designers and bloggers. It is simple and gives a classic look. London- A clean and curvy designed theme with 100% retina + responsive. NRG- Ideal website theme by WordPress for startups and project kick-offs. Ronneby- Powerful, smart and creative WordPress theme designed for beginners. Box- Innovative, effective and beautiful theme featured with MotoPress Content Editor. 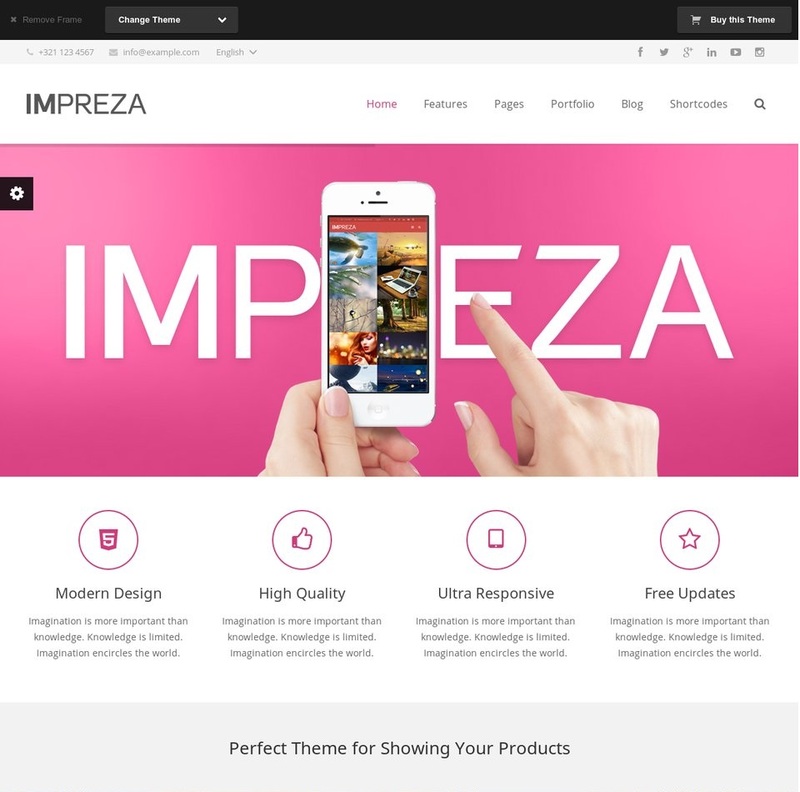 The 7- best featured theme with 15+ readymade templates. Ultra Theme- A package of more than 32 layouts with 100% responsive features. Flow- A recent and popular theme by WordPress designed considering all new generation requirements. Fin Art- One of the elegant theme used by photographers, designers, artists and people with creativity. Megatron- This professionally designed and featured theme has revolution slider and VC page builder. Zero- An absolute business theme crafted with latest technologies like CSS3, SAAS or HTML5. Splendid- This is the most impressive WordPress template with amazing modules and shortcodes. Polygon- A fast and effective theme with 12+ header styles and 8+ footer styles. Gusteau- This featured and beautiful featured theme has 500+ font icons and 600+ Google fonts. Fashion Icon- Stylish and unique website by Wordpress, best used for the fashion industry. SEO WP - A WordPress theme specially designed for search engine optimization. Brooklyn - A smart and 100% quality theme that is mobile friendly and has 11000+ customers. Moose - 2015 released WordPress theme with basic features and functionality. Kalium - A user-friendly and visual composer featured WordPress theme template. Rokophoto - Best theme for designing magazine websites and galleries as it has clean portfolio and parallax effect. Semona - It’s easy to build an e-shop with this theme as it has 3 premium plugins and revolution slider 5.0. Salient - This advanced template has 36,259 sales and is the most like WordPress theme. The Fox - A cool featured theme with HTML5 and CSS3 elements and jquery enhancement. Photo Me - Most outstanding and demanded theme by photographers with 50+ galleries and portfolio templates. Candy - A multipurpose creative theme with HTML5 and CSS3, blog and portfolio pages, Bootstrap 3 support, and about 12+ pre-designed designs. Saurus - Multidimensional and multilingual theme ideally used for wedding, fashion, portfolio and more. Marvela - The best theme to show off your creativity and imagination. It’s supported by redux option framework and SEO. John - A theme by WordPress with advanced typography, advanced portfolio systems, 6-page templates, and animated homepage. Car Workshop - It is considered as a best-featured theme as it has WPML integration, video, audio and social-media options, lazy-load effect, HTML plus JS, blog and portfolio with bootstrap. BBlod - This theme, in other words, is known as Big Bold. It has its fonts in stunning bold designs. MiPortfolio - This one-page creative theme by WordPress has a draggable slider, 3d gallery, video and HTML backgrounds. Orane - This smart and woo commerce integrated 3D slider, a low priced theme with incomparable features. Howl - Amazing featured and designer template with tons of unique features. Vira - A theme that has a remix of current and past trends. Its uniqueness is minimalism, hipster, simplicity and creativity! Pontus - One of the most powerful and smart featured theme with great customization options. August - this themes great attractions are responsive and retina ready, woo commerce integration, powerful theme options, unlimited layouts & colors. Discovery - Latest theme with WordPress 4.1 version ash smart and effective features and it cab boost the performance. Sk8er - A theme inspired by iOS 8 and is a multipurpose service provider. Visual composer and revolution slider are free in this theme. Mandala - This theme is built similar to the concept of online stores. It has a filterable portfolio, Google maps and contact form. X - It is a multipurpose feature packed theme developed by WordPress with 4 different and unique designs. Sydney Pro - This featured website can be fully customized and users can access various Google fonts. Fullpane - This WordPress theme is inspired by iPhone 5C and Themify Parallax themes. Scalia - A theme with unlimited customizable options and latest multipurpose service provider. Moesia - A beautiful and striking theme that offers visually stunning experience and static images.